Do you want to crop a photo? Sometimes you need to perfect your composition, or alter the dimensions of your photo to fit certain specifications. 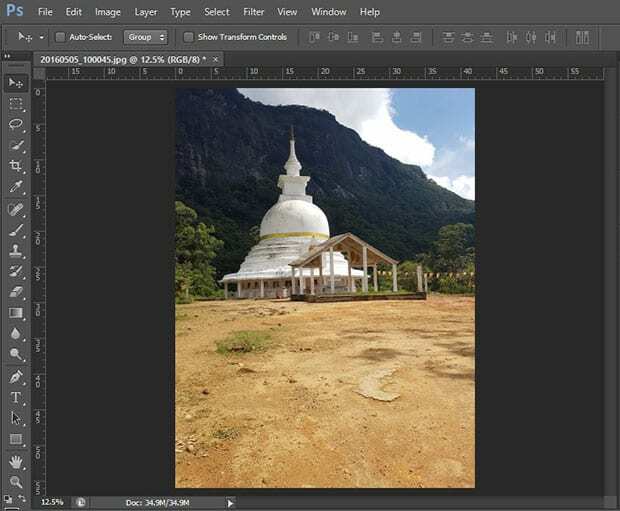 In this article, we will show you how to perfectly crop a photo in Photoshop. 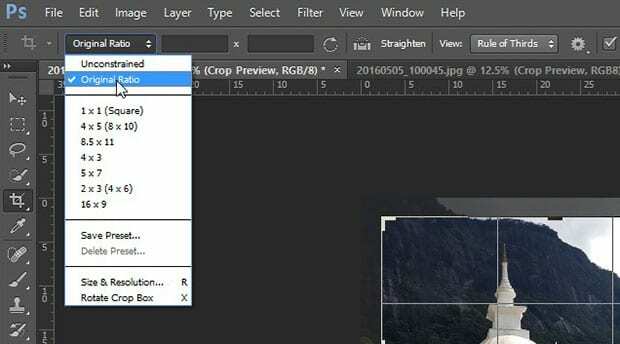 First thing you need to do is open your image in Photoshop. 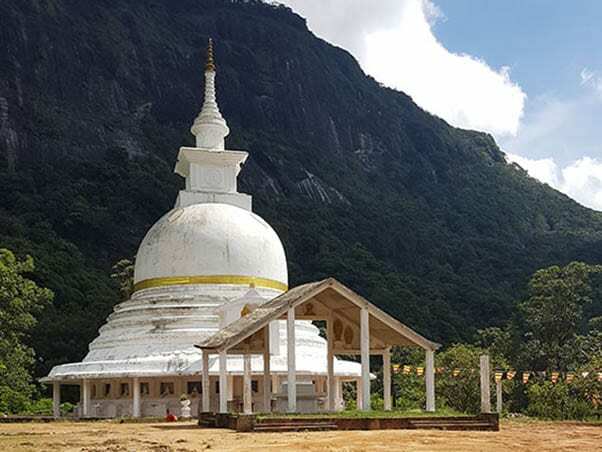 I captured this beautiful temple on the way back from Adam’s Peak in Sri Lanka. However, this photo has a lot of empty ground at the bottom and some free space to the left that can be cropped to perfect the composition. 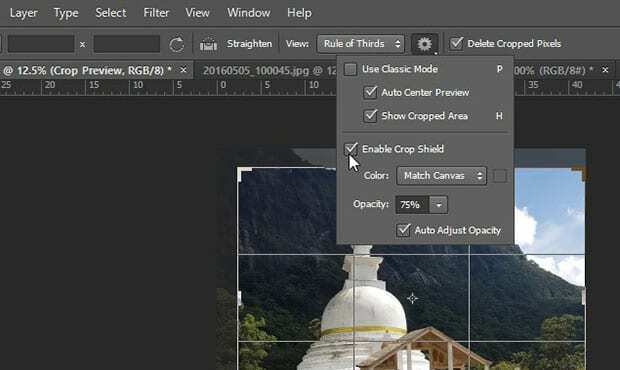 You should select the Crop Tool from the toolbar at the left-hand side of your Photoshop screen. By default, it will draw the cropping area on the full image. Simply drag the corners to select and adjust the cropping area however you like. 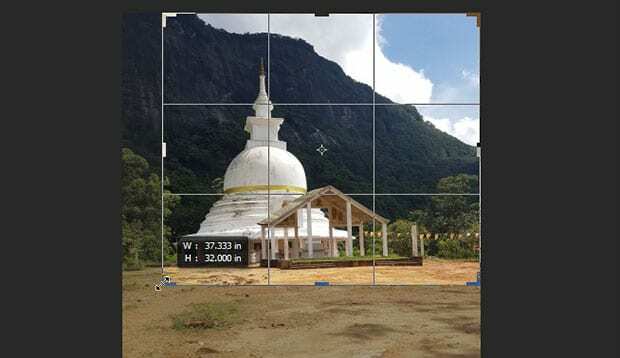 To crop to specific dimensions (to fit a picture frame, for example), you can go to the settings for the Crop Tool under the top menu bar. In the first dropdown menu, you can select Original Ratio, or another predefined size. If you don’t see the size you want, you can enter the exact dimensions you need to the right of this dropdown menu. 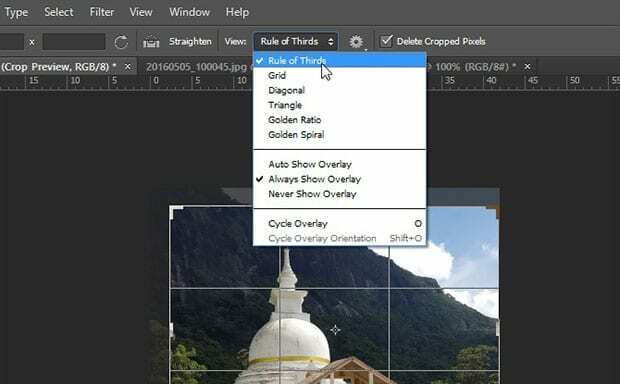 If your image isn’t perfectly straight up and down, you can click on the Straighten button and draw a line across the horizon to rotate the image. If you like, you can customize your cropping view by selecting an option from the View menu. We chose Rule of Thirds so that we can perfectly compose the temple in the shot. You can also click on the Settings icon to adjust your view. From there, you can enable Classic Mode, Auto Center Preview, Show Cropped Area, or Enable Crop Shield. Play around with it to see which view you personally prefer to work with. Once you are satisfied with your crop, make sure to hit the checkmark button to finalize the changes. You can see the finished product below. 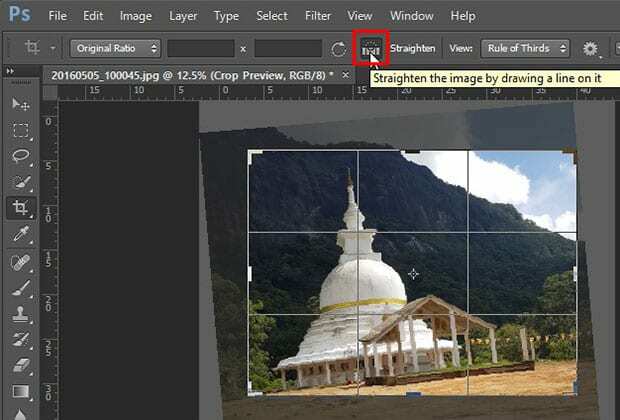 We hope this article has helped you to learn how to crop a photo in Photoshop. You may also want to check out our guide on how to cut out hair in Photoshop.